I was thinking about all the great prizes we have given away on 97X. Some include trips to faraway destinations, Harley Davidson Motorcycles, Cars, Trucks, Backstage concert passes, room renovations, big screen TVs, cash, the list goes on and on. 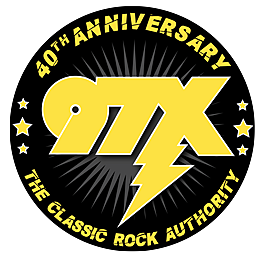 I'd imagine winning something cool from 97X has provided great 'once in a lifetime' type experience for many of our listeners. But... I think the 'Up Yours' contest might be the best prize we have ever given away. This contest for local businesses will reward someone with a gift that will keep on giving. Do you know a Q.C. small business that could use more exposure? Whatever the business, we can help someone small look big with a vehicle wrap from Edwards Creative. No wonder so many local companies have entered. If you want to help someone get noticed, nominate them for Dwyer and Michaels "Up Yours!" We can up their image around town! The design and wrap from Edwards Creative is a $3,000 value. And soon it will be free advertising for someone as they drive around town! Now that's what I call a GREAT prize. Win once and reap the rewards for years to come. That is why I feel this is one of the coolest things we've done at 97X. Now here's where Dwyer and Michaels need your help! Let's spread the word to help give more people the chance to win. If you share /like this post we can get noticed by more small business owners in the Quad Cities. (like us/tag us/share it) The deadline is this Friday (4/11). After that we will draw five finalists and put them to a vote on our website. One Quad Cities' small business is going to win a free vehicle wrap from Dwyer and Michaels and Edwards Creative. Good Luck! Nominate someone now!